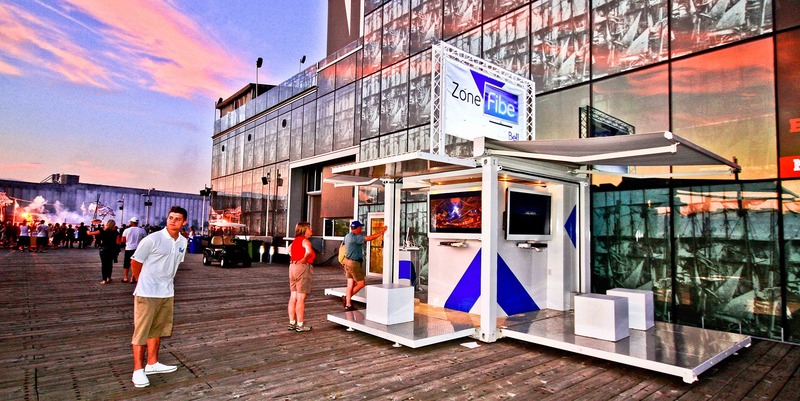 Bell wanted to promote its new Fibe service at the Espace 400e in the heart of Old Quebec. 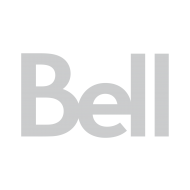 This unique service allows television viewers to enjoy 4K quality images on any screen. 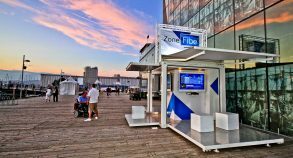 Fibe TV offers a host of new features including the ability to move TVs to any location thanks to the wireless receivers, access to more than 500 channels, and the ability to record and view recordings on any television. 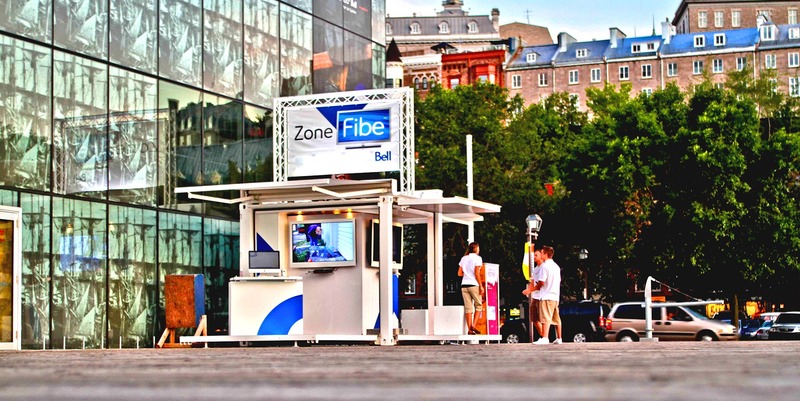 With limited space on the Espace 400e site, Bell was looking for a compact promotional space that would combine design, architecture and flexibility. 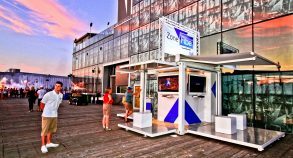 Steel Space Concepts opted for its SS10 model, a small recycled container with an original design. 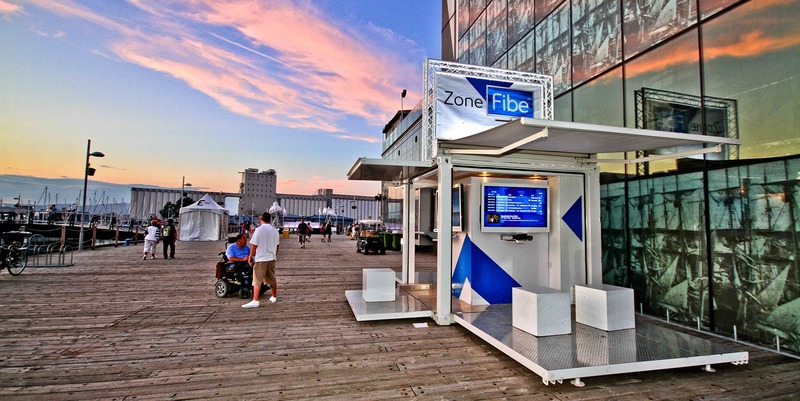 Easy to transport and quick to set up in smaller spaces, this unit stands out and creates an impression on visitors. 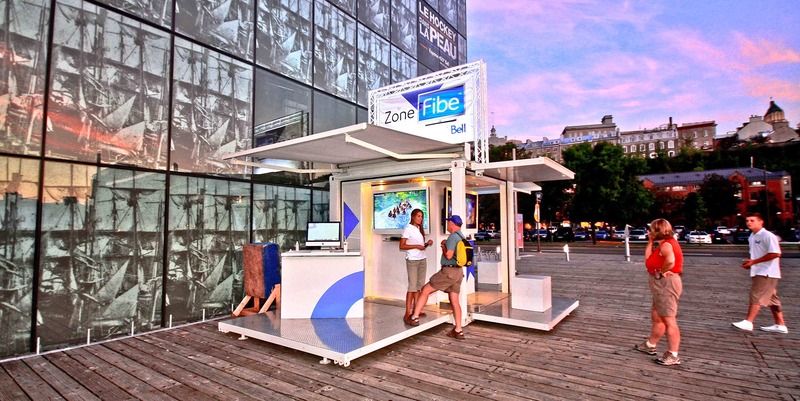 During this activation, Bell employed a successful experiential marketing strategy that let consumers try, feel and discover Fibe for themselves. 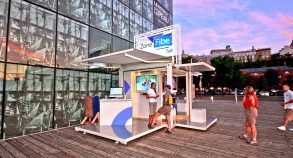 Customers saw concrete examples of the service on flat screen TVs installed around the unit. 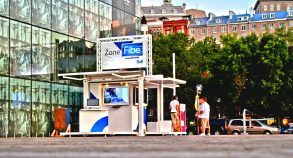 This strategy was an effective way to educate consumers, especially in the case of complex services such as Fibe. In addition, the brand’s representatives on site answered visitors’ questions and explained the benefits of the new service.